The Platinum Curved uses the latest technology to provide the very best features – and it can be positioned on either the inside or outside of the staircase. 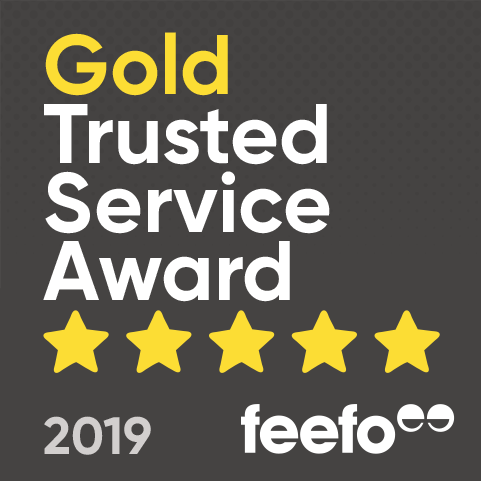 It runs on one of the tightest curved tracks on the market and is also one of the quietest rides, taking you smoothly and safely around your home. It is built in the UK to the highest standards and with an emphasis on ease of use, reliability and comfort in mind. Every Platinum Curved Stairlift system goes through a strict quality control process before it leaves the factory. This stringent attention to detail results in excellent build qualities which ensure there are no jerky movements. The track is custom built to fit your staircase, and the Platinum Curved is one of the slimmest stairlifts on the market when folded. 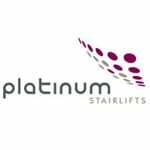 In common with all modern stairlifts the Platinum Curved benefits from being battery powered – making it extremely quiet and ensuring that it will continue to work in a power cut. Its features include a safety belt, an easy to use toggle switch, a lockable key switch and a remote control. The chair swivels at the top of the stairs to allow easy access to the landing. Battery operated, so the stairlift works even in the event of a power cut. Charge points at the top and the bottom of the track to park and charge your stairlift. As an additional extra you can also have an intermediate charge point to park the stairlift in an alternative position on the track. Track can be designed to go on the inside or outside of the stairs, negotiating 90 and 180 degree bends. The track can also run up and over onto the landing if you have the space, so there’s no need to swivel the seat at the top of the stairs. 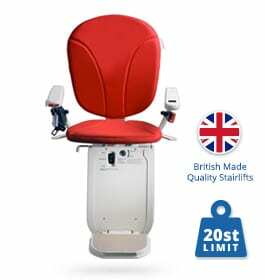 The seat height enables you to sit comfortably on the stairlift. Swivel seat with manual swivel lever on both sides of the chair, so you can turn the seat at the top of the stairs and safely alight. 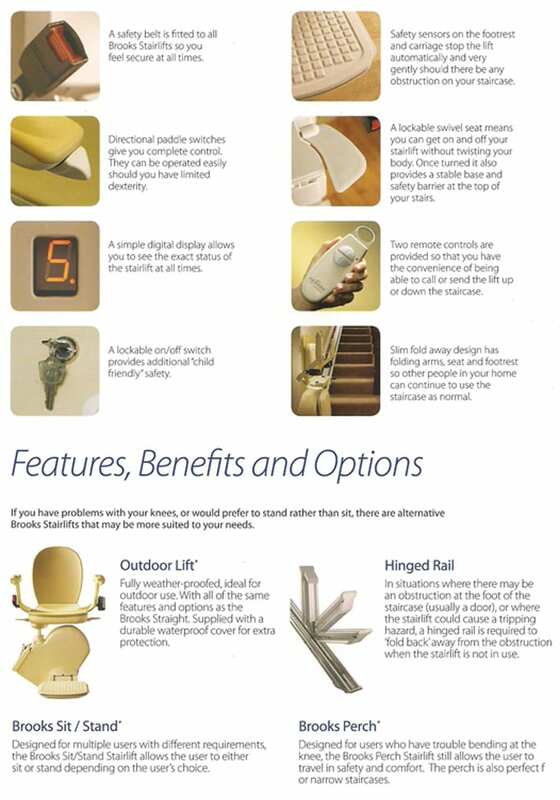 Remote controls at top and bottom of the stairs to bring the stairlift to you whenever you need it. Retractable, car style seatbelt to secure you in the seat when in travel.